Skyward does not typically build single family residences, however when we were approached by the owner and architect with these drawings we could not refuse this challenge. The home is a cast in place concrete structure utilizing pre-cast hollow core concrete panels for the elevated floors and the roof system. The home is heated using a ground source geothermal loop and a heat pump that efficiently heats water that suppliers a hydronic heating system throughout the home. The entire house is insulated using closed cell foam insulation. 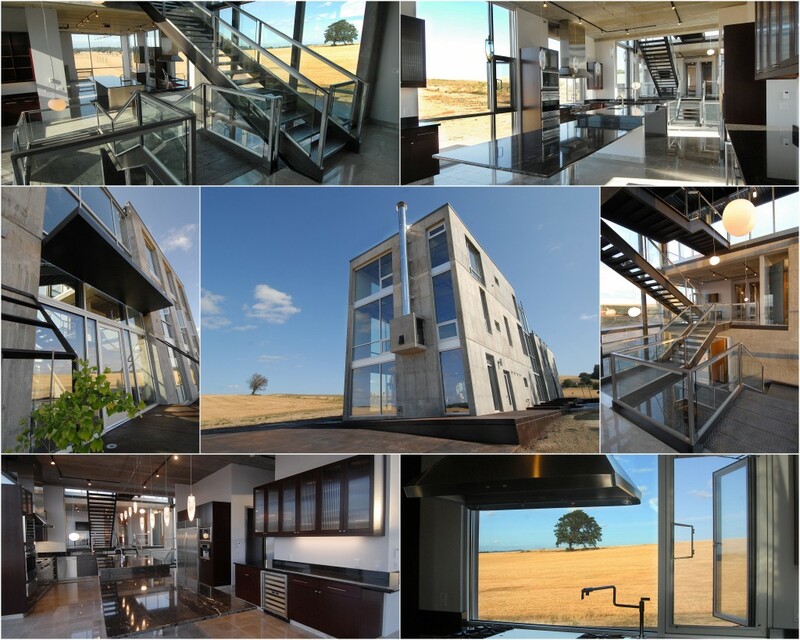 This is a very unique home that will last for generations.